All children, regardless of age, love the magic, comedy and intrigue of traditional fairytales. 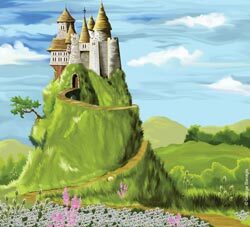 Indeed, the fairytale genre is bursting with creative opportunities for the Key Stage 2 classroom. This November sees the National Year of Reading theme, ‘Screen reads’ (activities based on this theme), and with this in mind we are offering your class the opportunity to create storyboards for their own fairytale films. The aim is to encourage children to explore and play with traditional fairytales by breaking down conventions and using themes, characters and settings imaginatively to come up with their own alternative stories. For example, Goldilocks and Jack could meet in the veggie section of a supermarket and decide to start a new life together! The Interactive resource, ‘Once upon a time’ (members only), poster and activity sheets (all readers) are ideal for paired or small group work, and allow children to create a storyboard for their own fairytale movie. Using the scenes and characters provided, children can work their magic to produce a storyboard fit for the silver screen!